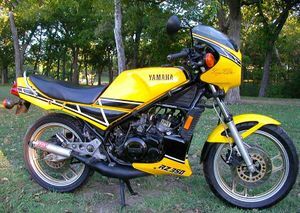 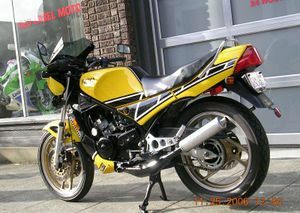 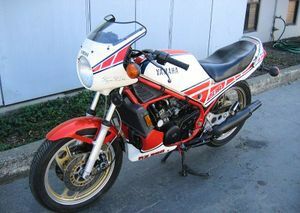 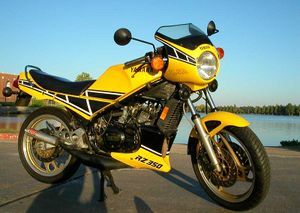 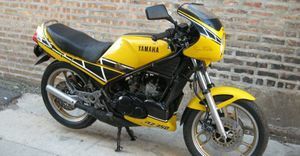 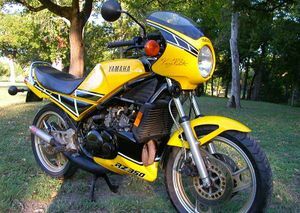 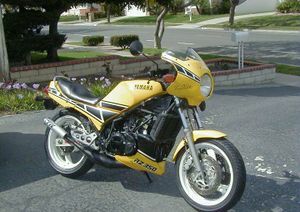 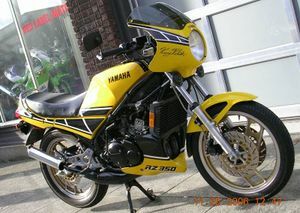 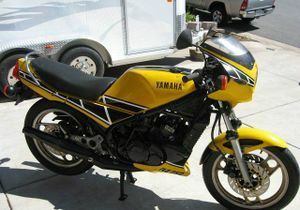 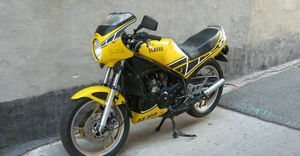 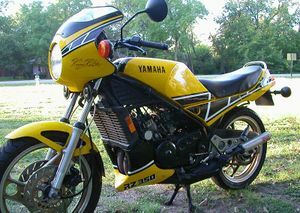 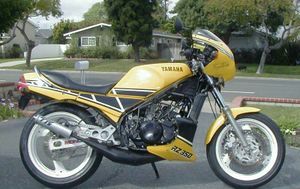 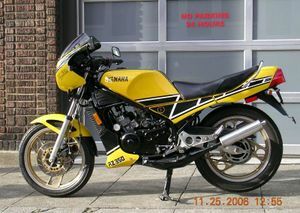 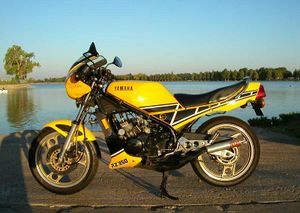 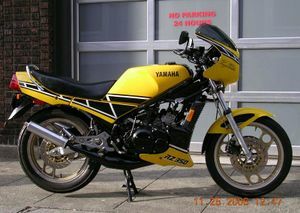 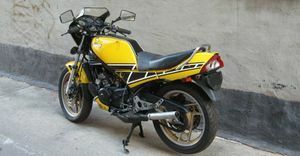 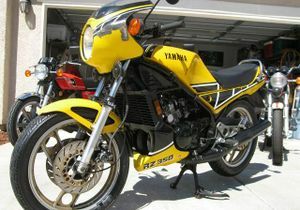 The Yamaha RZ350 is a motorcycle produced by Yamaha from 1984 to 1985. 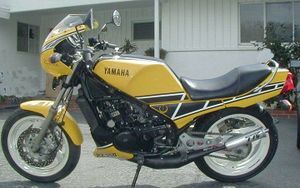 Yamaha RZ350 , LC/YPVS in the UK, is a motorcycle powered by a twin cylinder two-stroke engine, reed valved 347 cubic centimeter engine. 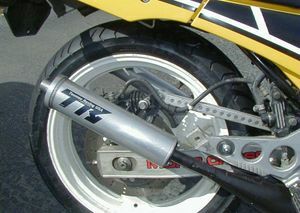 The bore and stroke are 64x54 mm. 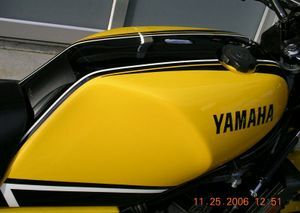 It produces 30.4 ft·lbf of torque at 7500 rpm. 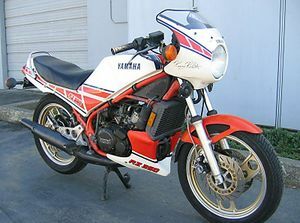 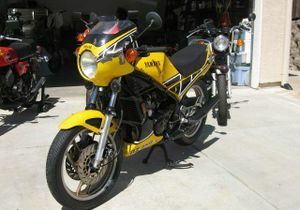 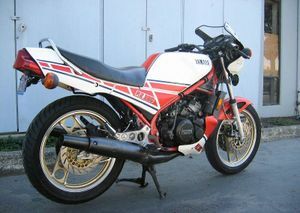 It came out as the RD350L/C in non-U.S. markets in the 1981 model year. 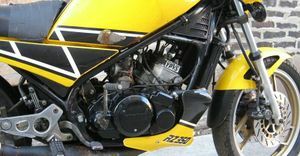 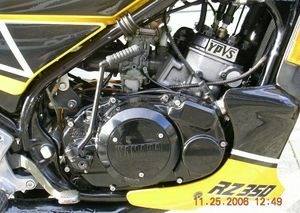 The L/C model did not contain the "powervalve" exhaust port device available on the U.S. model RZ350's of 1984 and 1985. 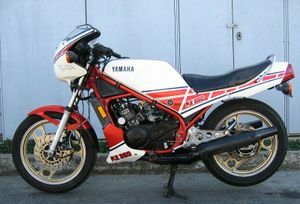 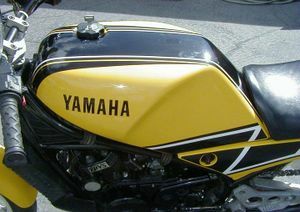 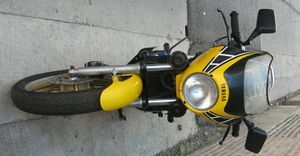 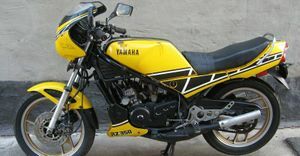 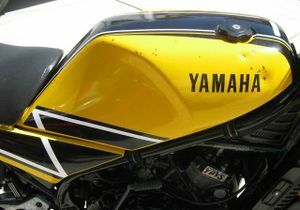 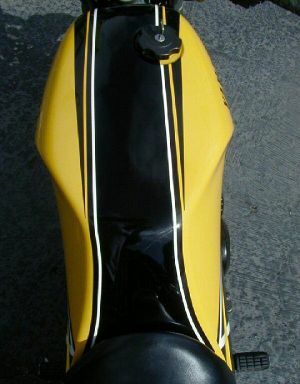 It was the evolution of Yamaha's popular and well known RD350. 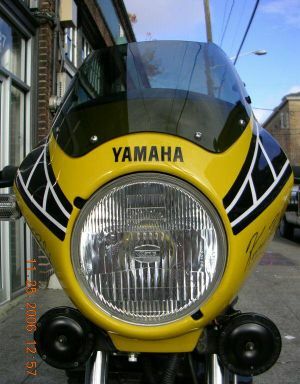 Production was carried on into the 1990s and a variant of the engine is still produced and used in Yamaha's YFZ350 Banshee ATV. 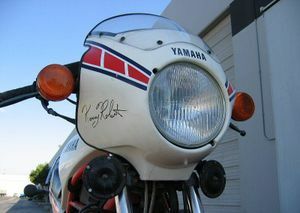 RZ350 is now a sought after collectors bike, due to it being the last road going two-stroke motorcycle in America. 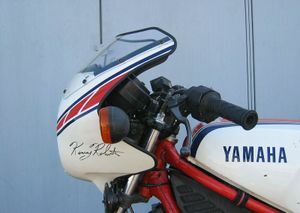 It is also raced extensively in Vintage racing leagues, as well as its own racing leagues, often dubbed "RZ cups". 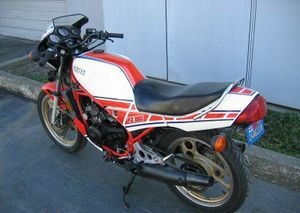 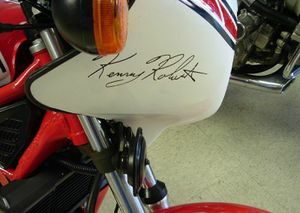 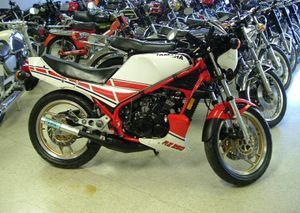 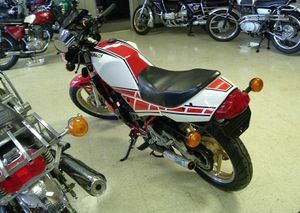 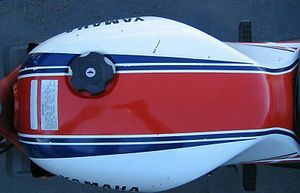 A true milestone sport bike, the lightweight 350cc 2-stroke was offered in white/red and as a Kenny Roberts signature model, as shown here. 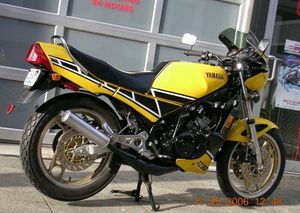 This page was last edited on 28 November 2010, at 22:42.